Sticking to your budget and a dedicated savings plan is often easier said than done. One trick is to look outside the box and get creative with how you squirrel away those dollars, in order to fulfill your dreams. Here are seven ways to do just that. There’s nothing like setting yourself a challenge, for inspiration to save. For one thing, a challenge is fun so it negates that feeling of missing out, when you’re on a strict budget. It’ll also hold you accountable for reaching your target. Set a figure to reach within the month or across the year, with a specific date. Put whatever you can towards it and keep a keen eye on your progress. As you get closer and momentum builds, you’ll have that extra willpower to push towards the goal. Save money by selling your unwanted items online. If you’re doing a cleanup to start the year, don’t be too quick to throw out your old stuff. Your trash could be someone else’s treasure, as the saying goes, and it’s free and easy to sell it online. Sign up to sites like Gumtree and Facebook Marketplace, photograph your items and let the bidding begin! You could get a tidy little sum to boost your savings account and provide further motivation. It’s all too easy to dip into the savings account or convince yourself that you need ‘that amazing item’, more than you need to save. Budget for saving in the same way as you do for bills. Make it a non-negotiable aspect of a financial plan and you’ll soon curb the habit of spontaneously spending it. Household products can carve a huge chunk out of the budget. First of all, do an inventory of everything you normally buy, like laundry detergent, soaps and cleaning sprays. These days, you’ll find a wealth of information online as to how to make your own products and save. As a bonus, DIY products are natural and environmentally-friendly. How often do you mindlessly watch TV or scroll through social media? Unfortunately, doing so isn’t as harmless as it appears. Those shiny advertisements are seeping into your mind, even if you’re not aware of it. Before you know it, you’re picking something up with the desire to buy, because the image is imprinted in your brain. It’s easy for unnecessary recurring costs to slip under the radar. When’s the last time you carefully reviewed your recurring charges? Especially if they’re small amounts, it’s easy for unnecessary recurring costs to slip under the radar. Look for magazine subscriptions, website memberships and mobile phone contracts up for review. 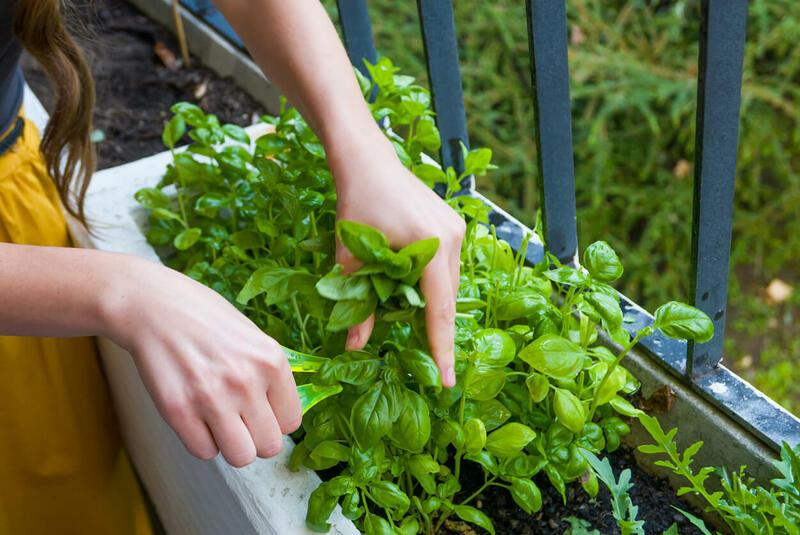 Growing your own herbs and making DIY products saves money in the kitchen. Meal plans have been all the rage for some time now and they do save you money in the kitchen. To take it further, other things you can do include buying ingredients that overlap in recipes, switching to homemade sauces and dressings, freezing leftovers and growing your own herbs. When you incorporate a range of creative little things to help you save money, you’ll be surprised how big that nest egg grows.